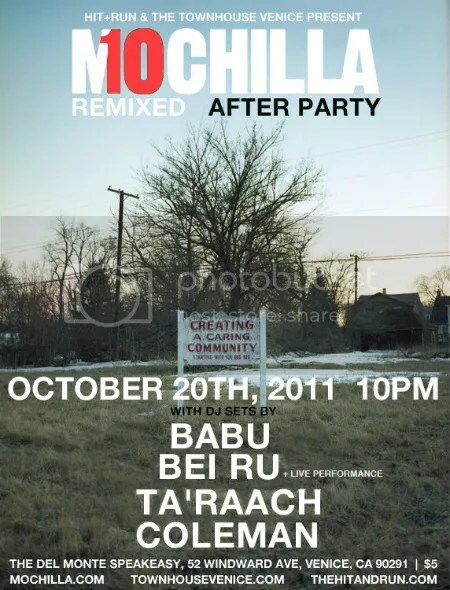 MOCHILLA REMIXED: Photo Selects/Logo Remix Exhibition + After Party! Save the date: Thursday, October 20th Mochilla & Hit+Run present “MOCHILLA REMIXED” at the Townhouse Gallery in Venice. Some of our favorite visual artists have flipped the classic Mochilla logo, originally designed by Stephen Serrato – check out Augustine Kofie’s version (included). On opening night, these logo remixes will be on display alongside iconic photographs by Mochilla founders B+ and Coleman. Each has selected specia…l photo selects from their vast collection for this exhibition that runs from October 20th-November 12th. Also running alongside the show will be a pop-up shop with our recent releases and a few classic selects. 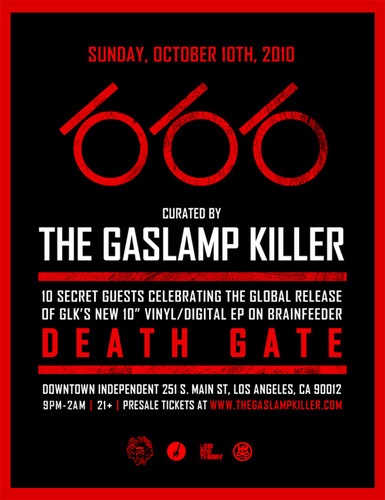 Keep an eye out for some very special limited edition Mochilla gear that will only be available the night of the show. Don’t miss the opening night after party next door at the Del Monte Speakeasy with surprise guests! 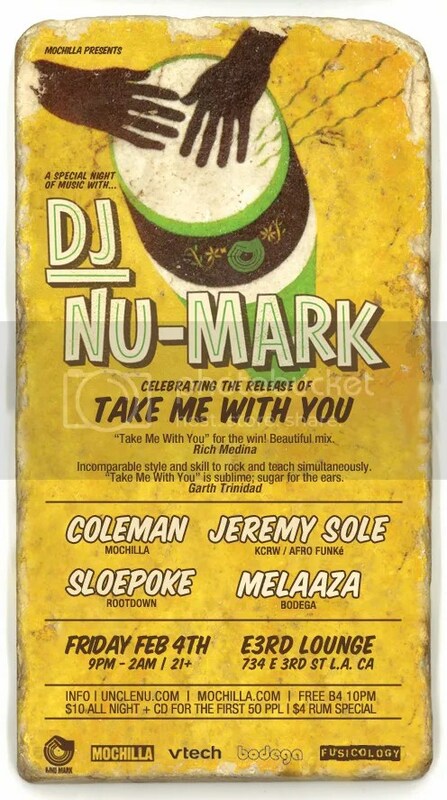 We’ll be celebrating our recent Timeless Remixed project on our “Feito Em Casa” Mixes. 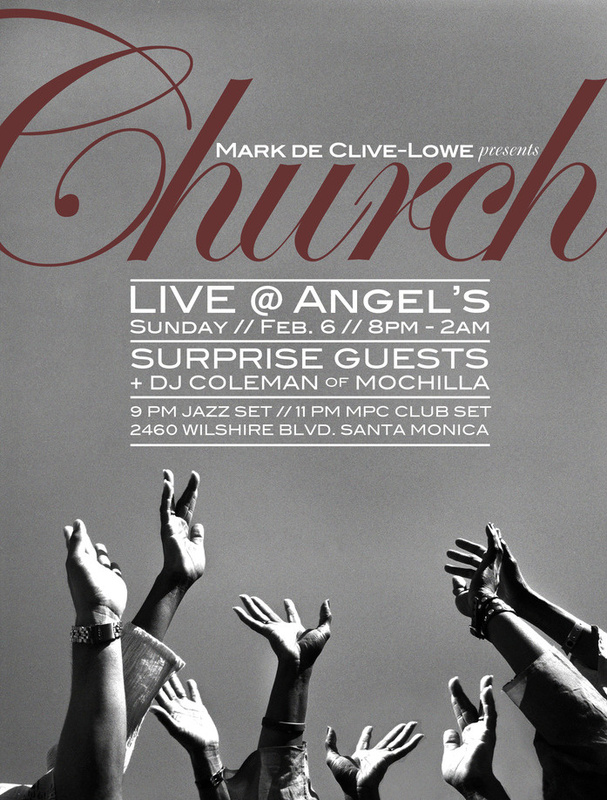 The fifth installment of MdCL‘s monthly clubnite in LA, ‘CHURCH‘. First Sunday of the month at Angel’s Piano Bar, Santa Monica – next party: February 6, 2011. From the jazz club to the turntables, each month will be a musical journey with surprise guests and features. Come in early for some dinner, drinks and dessert – the live music kicks off at 9pm with a live acoustic jazz set led by MdCL on piano… and guests. At 11pm for th…e second set MdCL transitions to his rhodes, drum machines, synths and electronic toys for a twisted club set of jazz-infused beats, and the night wraps up with a DJ set from MdCL and guests. This month features resident guests: Trevor Ware (bass), Paul Legaspi (drums), Nia Andrews (vox), Sy Smith (vox) and some spontaneous surprises (we’ve had Dwight Trible, Jody Watley, Emoni Fela, Vesta Williams, Todd Simon, Ohmega Watts jump up – who’s next?! 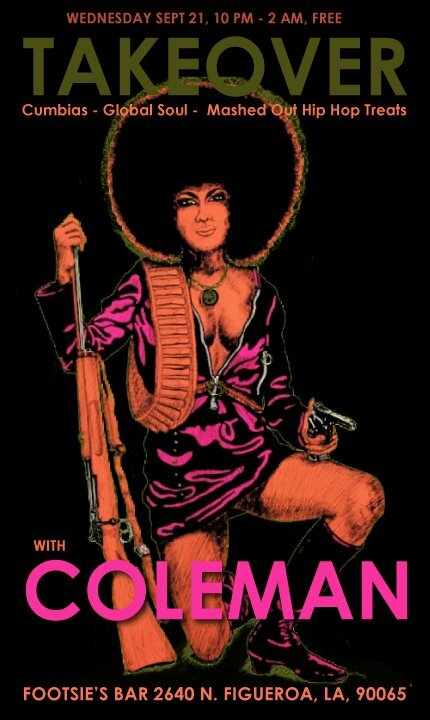 )… plus this month’s special guest DJ: Coleman (Mochilla). Spread the word to your friends and family – CHURCH is your unmissable monthly music fix. • Join us as we celebrate the release of “Take Me With You” on Friday, February 4th in Los Angeles!